Can Microsoft keep desktop users happy with Windows 8? In demonstrations this week, Windows 8 is shown running legacy applications like Office side-by-side with the hip new OS. But the version of Windows 8 that runs on the ARM processor won't have legacy support. That creates an OS quandary. While Microsoft says Windows 8 is backward-compatible, if I want to take advantage of the most revolutionary features -- namely touch and tablet functionality -- I'll need all new hardware and probably software, too. So where does that leave Windows users who want all the old desktop-oriented bells and whistles that shipped with Windows 7 with the new tablet-oriented Windows 8 OS? Do we need Windows touchscreens everywhere? So Windows wants a piece of the tablet pie, I get that. But I've rarely had any desire to reach over this keyboard and swipe at my screen, be it on a laptop or desktop or even a netbook. I especially don't plan on running out to buy a new system just to have touch functionality. So, Microsoft's touch revolution is really about tablets, but the company's existing touch-enabled OS, Windows Phone, has a tiny sliver of the market it operates in, which begs the question: Do many people really want to reach out and touch Windows or a touch-enabled version of Word or Excel? Will all ARM devices have enough power? Windows 8 looked crisp and clean when running on a sampling of existing laptops and a few tablets, but inevitably some budget ARM-powered systems will emerge. Will they be able to handle all of Windows 8's new functionality? Or will swift switching and rapid refreshing give way to lag, bog downs, and a Windows 8 blue screen of death? Just how open will it be? Microsoft is pushing the fact that Windows 8 is based on HTML5 and the other languages that underlie the Web. 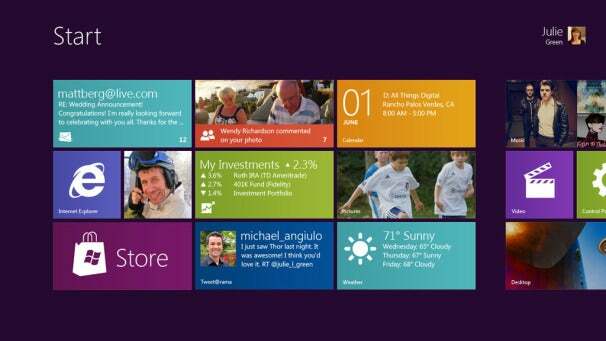 This means developers can hit the ground running on day one to develop Web apps for Windows 8. But this is a radical shift from Redmond's typical modus operandi (software control freak) and I'm left wondering just how open the company is ready and willing to be. Developers will likely have the same suspicions and may hit the ground at more of a cautious meander than the running pace Microsoft needs to catch up to the coding free-for-all happening in places like the Android Market. Could this suite of apps, which Microsoft has been honing for years now, be one of the casualties of the move to an HTML5-centric OS? Of course, the company won't kill Hotmail or Messenger, but will they undergo a radical change if the company moves away from .NET, Silverlight, and other Microsoft staples? Or is this RIP Windows Live Movie Maker? It's important to point out that Microsoft still has several months to answer these questions, and a lot could still change, especially with the release of Mac OS X Lion, due this summer, and Microsoft's expected reaction. Whatever happens, it's good to see Microsoft taking some big risks and steps forward. We shall see if it all pans out.